The leadoff game is going to be Milwaukee visiting New York. 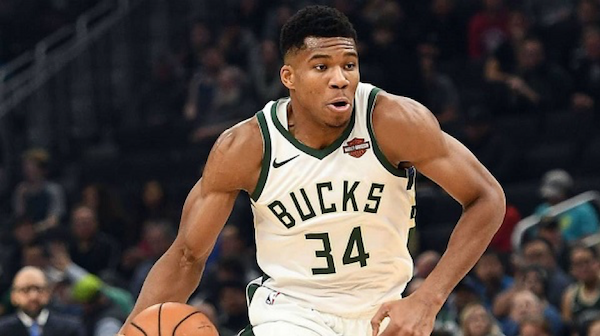 Giannis Antetokounmpo is currently one of the leading candidates for the MVP award and easily the best player on the court. The two teams have split the season series 1-1 so far with two very high scoring games. Nationally televised games will usually go to the better team and that is the Bucks. Bucks have a 22-10 record while the Knicks are 9-25. The Knicks have lost 9 of their last 10 and I don’t see them turning the corner against the Bucks. Although I typically don’t like giving up 10 points, the Bucks have the three, and maybe four, best players on the court. I’m taking the Bucks. Probably the best matchup on Christmas Day and the hardest to predict in my opinion. Neck and neck in the standings, the Sixers are at 22-12, while the Celtics are 19-13. Although the game will be played in Boston, I still like the Sixers to win. Both teams are stacked with talent and have great coaching. I always tend to like Philly more because of the size differential. Both teams are very athletic, but with 6’ 10’’ point guard Ben Simmons running the show and the interior presence of Joel Embiid, I will always take the Sixers when given the points. The Golden State Warriors vs whatever team Lebron James is playing on has become a tradition in itself. The Warriors are back to full force and are always the toughest game on anyone's schedule. Lebron James has scored the third most points in Christmas day games: 321 in 12 or an average of 26.75 pts/g. This is one of those games that I don’t like betting against the Warriors, but I also don’t like a Lebron James led team being a 9 point underdog. My gut is telling me that Lebron is going to try and make a statement this Christmas and at least keep it close til the end. The Warriors might still win, but the Lakers will cover the spread.